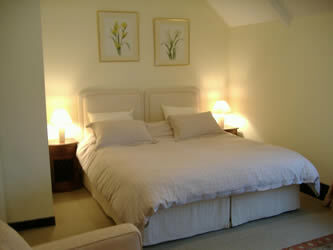 All five rooms come with bottles of still & sparkling water and breakfast is included. The house offers off-street parking and has a sizable open garden and terrace. 3 clés rating with Clévacances. Pets are allowed and it is strictly non-smoking inside. Please check out before midday on your day of departure. Credit cards are NOT accepted, CASH only please, or cheques in advance. Please contact Shaun Baggs for availability: M. BAGGS Shaun, Le Clos Rabelais, 34 rue Rabelais, 37130 Langeais, France.